This is a podcast by a multiple for other people who have multiple personalities, and for people who are interested in learning more about Dissociative Identity Disorder or Multiple Personalities. The host/ess/es of the show -- every pun intended -- are The Crisses. With 30+ years of experience as someone who has known they are multiple, and several years of working within a multiple community and writing for Kinhost.org, the Crisses have a lot to say on the topic of multiplicity. To help support our podcast, please see our page on Patreon.com. A discussion of how important names and re-naming can be for individuals, both external and within a plural system. A daily exercise in serenity; one of the many ways to be more present and less dissociated. Starting with and expanding on the United Front Boot Camp post of the same name: leaving your baggage and triggers outside of your meetings and greetings to form internal community. The not-ranty version, covering much of the same ground as episode 017 with an update for new developmental models of DID. Rant alert!! Dug up an old poor-quality recording, remastered it, and posted it. What's the opposite of losing time? Does time really go faster as you get older, or are you simply allowing it to rush away from you? System Trust Capstone, Part 1: What is happening in your system that erodes trust and makes it so that it's impossible to even tread water? Foundational concept for our System Trust Issues series. The permeable membrane, internal organization, integrity, the cause & effect of being a team player, externalization, acting out, echoes and co-owning your shared life. Realizing something is a trigger that we hadn't thought of before, we explore it live on-mic as an example of examining a trigger. How do the DSM-V criteria (the standards by which diagnoses are given) fit? Many Minds: Two Heads are Better than One (002) - A multiple's-eye view of how people become multiple, from experiences with many different multiple systems. Many Minds: Credentials (001) - What qualifies The Crisses to give a podcast in multiplicity? 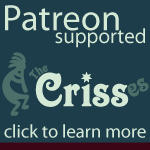 In this introductory episode we cover who The Crisses are to some degree, podcast goals, basics of mulitple vs. otherkin host, etc.